We’d like to introduce you to some of these invaluable & inspirational stars, it wouldn’t be the same without them! 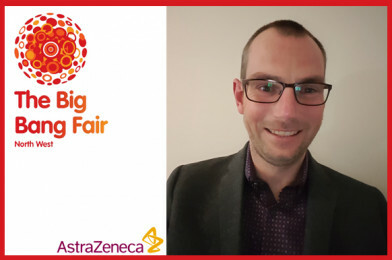 Paul works for AstraZeneca, a global bio-pharmaceutical, involved in researching, developing and manufacturing medicines to be used by millions of patients worldwide. He is a Chartered Engineer with the Institute of Engineering and Technology (IET) – which basically means he is recognised in the UK as a professional engineer. Although not in an engineering role at the moment, he still uses at the lot of engineering skills on a day-to-day basis. He is also a School Governor at his daughter’s primary school. Paul’s current job role is Global Quality Manager at AstraZeneca’s Macclesfield Campus in Cheshire. He is responsible for setting quality standards and procedures for the company’s 29 manufacturing sites, ensuring that the medicines you take do what they should do. Keep your eyes peeled for Paul on the big day, say hello and ask him about his career – he’ll be happy to tell you more!